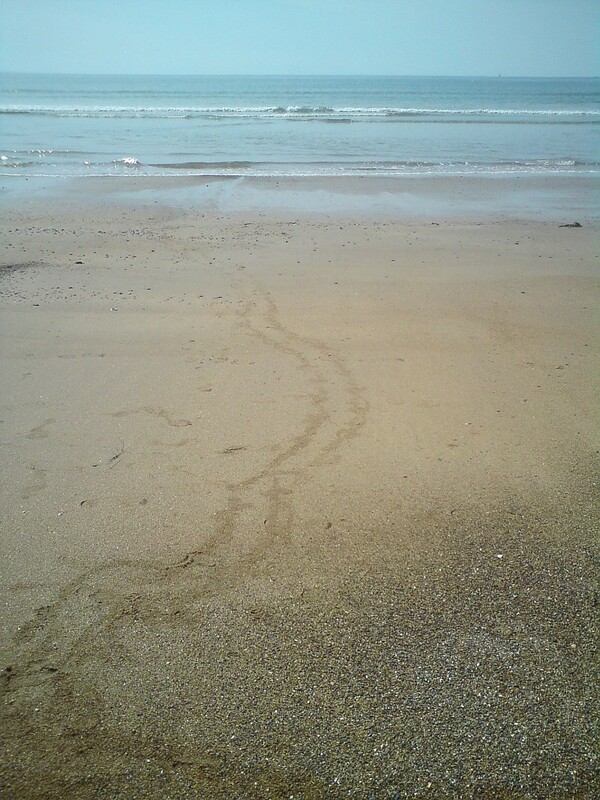 Question: what made these tracks on the beach? 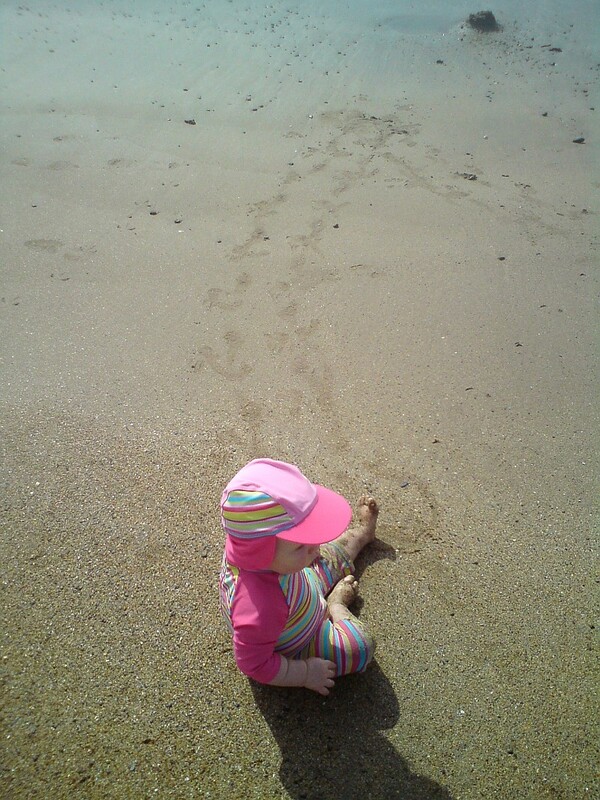 I’ve just got back from holiday, which explains why things have been a bit quiet on here lately. I confess that I haven’t done much from a wildlife perspective. I spent the days with the family and the nights fishing. I don’t go fishing very often these days, so this was a treat for me – or at least it was until I became increasingly obsessed in my hunt for the fish. At least I’ve got it out of my system for a while. 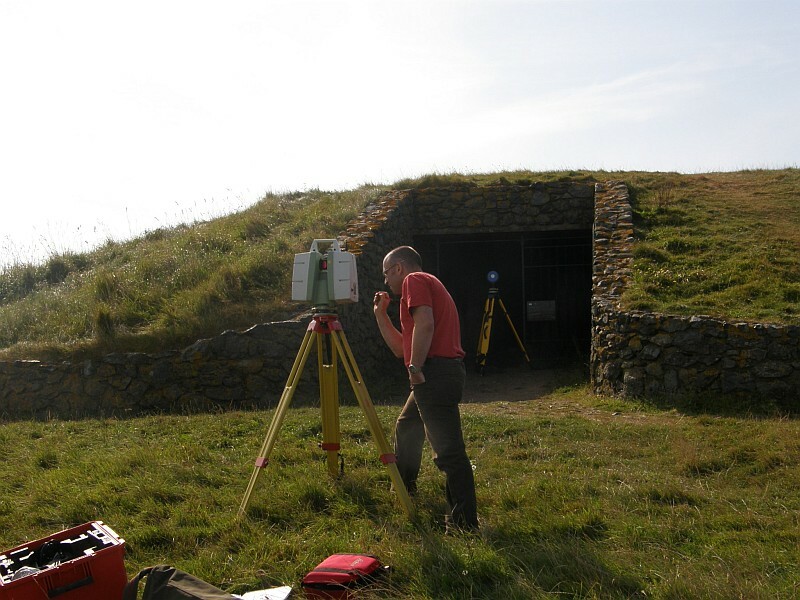 I spent a very enjoyable day with a friend of mine who was carrying out a 3d laser scan of an ancient monument in the area. The neolithic burial chamber of Barclodiad-y-Gawres dates back 5,000 years or so. Although there are many similar prehistoric monuments on Anglesey, Barclodiad-y-Gawres is almost unique because of its decorated stones. To protect these from vandalism, a concrete dome has been built over the site and entrance is highly restricted. My friend was creating a full scan of the site, accurate to millimetres, to create a full virtual model of the monument. 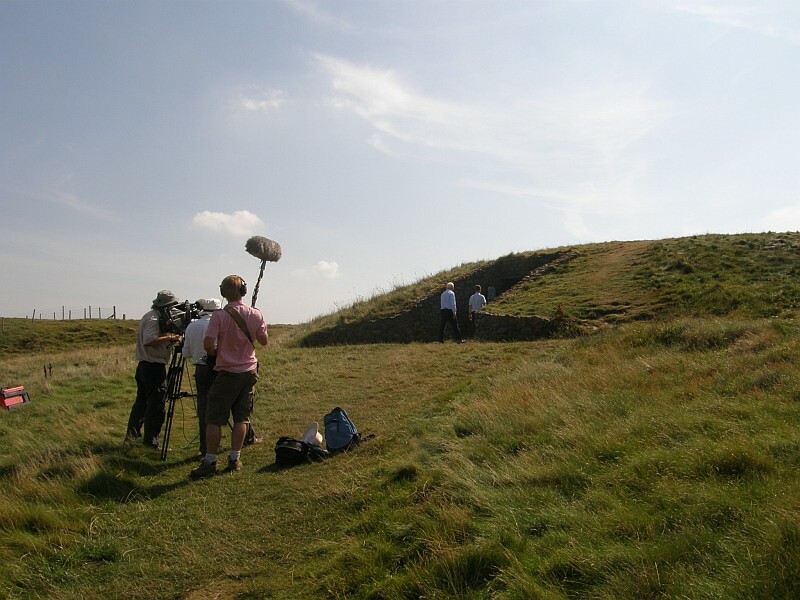 This was being filmed for the TV series Hidden Histories, so watch out for that on the BBC later this year. My role on the day was to carry the tripods, act as a general assistant and swap theories with the various archaeologists present. Does this have anything to do with wildlife? Well, maybe a little. For a start, we were accompanied on the day by a pair of choughs. These delightful little crows are still rare, but they seem to be expanding along the sea cliffs of Anglesey. It was the first time I’d seen them in this spot, anyway. A second wildlife connection came from Barclodiad-y-Gawres itself. The tomb is famous because the archaeologists who excavated the site found a collection of small bones from, among other things, wrasse, whiting, eel, grass snake, frog, toad and mouse. They interpreted this as the remains of a strange ‘ritual stew’ that the stone age builders had made. Personally, I don’t believe this. I think that the bones were much more likely to have come from the dung (‘spraint’) of an otter. I’ll write up my theory and the evidence for it in a proper paper one day. It’s ironic really. I was talking to some of the leading archaeologists in the field, and I managed to steer the conversation round to animal poo. Plenty of burial sites to explore upon Anglesey, looking forward to seeing the hidden history programme about the site. Reading this has brought a rush of memories of fishing off the rocks anywhere between Cemaes bay and Traeth Bychan – happy days indeed. Can’t remember ever seeing Choughs on Ynys Mon, although seen several when walking the coastal path along the Llyn peninsula, guess they may becoming less rare. Hi John – yes, I was closer to your neck of the woods, and very nice it was too. I agree – fishing off the rocks was great fun. I spent a lot of time on the rocks under Barclodiad y Gawres at Porth Trecastell, catching endless small pollack and wrasse on light float tackle and a carp rod. None of them were big and I returned them all, but it was great fun catching them. I’ve seen choughs at Aberffraw in the past, and they’ve been at South Stack for years, but I’d never seen them at Porth Trecastell before. Hopefully it’s a good sign that they’re on the increase.